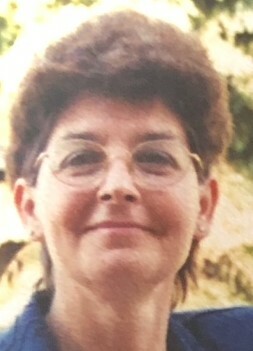 Delsa D. (Crawford) Rowe, 66, of New Castle, passed away Monday, August 20, 2018, at UPMC Jamison, New Castle. Born July 17, 1952, in Sewickley, she was a daughter of the late Raymond and Evelyn Crawford. She was Presbyterian by faith and enjoyed jewelry making, crafting and floral arranging. Surviving are one son, Scott (Lisa) Heimel, Patterson Twp. ; one daughter, Jean (Jason) Allen Sr., New Castle; six grandchildren, Jordan, Nicholas, Olivia, Sofia, Jason Jr. and Cole; two brothers, James (Bonnie) Crawford, Land O' Lakes, Fla., and William (Pam) Crawford, Hopewell Twp. ; one sister, Margaret "Peg" (Frank) Wilczynski, Hopewell Twp., and her beloved nieces. In addition to her parents, she was preceded in death her beloved nephew, Frank Wilczynski Jr. There will no viewing. Friends will be received Friday from 12 p.m. until time of memorial service at 2 p.m. in the J&J SPRATT FUNERAL HOME, 1612 Third Ave., New Brighton, www.jjsprattfh.com, with Father Tom Kredel officiating.